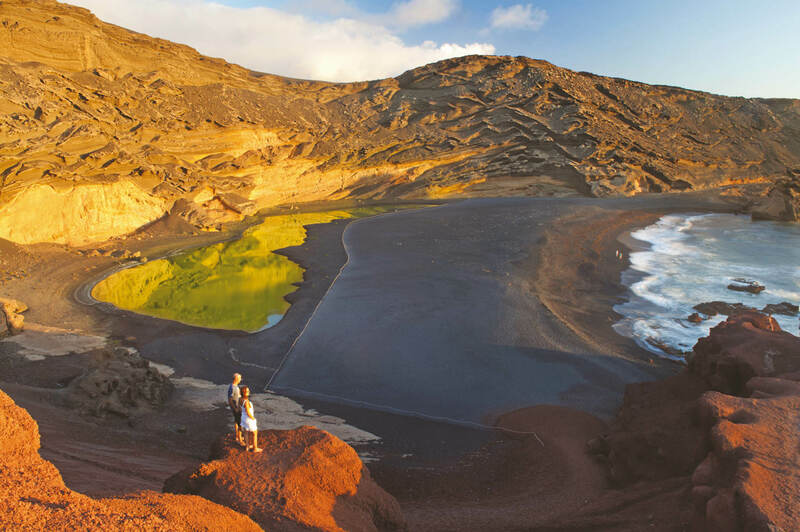 A visit to Timanfaya National Park is an essential part of any luxury holiday to Lanzarote. Attracting many tourists each year, this fascinating moon like park is filled with rare plants and exciting geological phenomena. Several devastating eruptions between 1730 and 1736 formed the land as it is now, with volcano Timanfaya still active. One of the most memorable things to do in Lanzarote is watch the guides poor water in to the ground, which then bubbles up in to mini geysers. 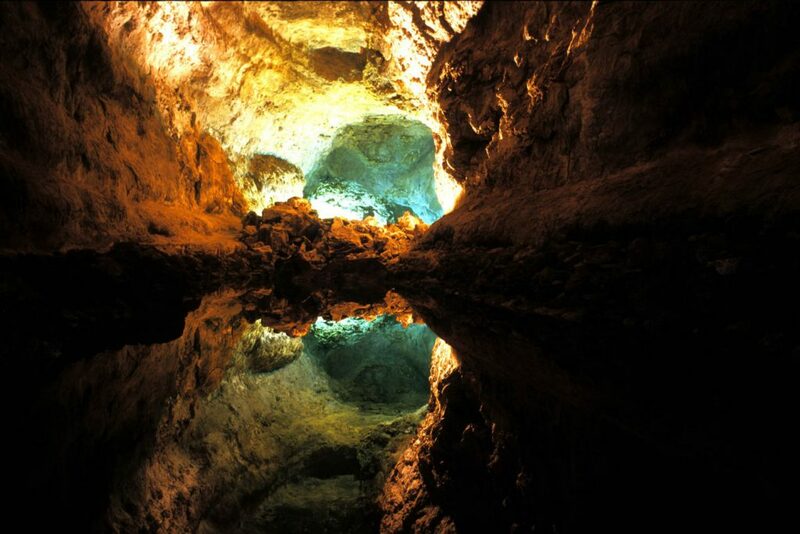 Look in awe at the beautiful natural designs the lava has created and be amazed by the natural geothermal heat. For a spot of lunch, the park’s own Restaurant El Diablo designed by César Manrique serves delicious Canary Island specialties with volcanoes as your breath-taking backdrop. You cannot wander freely around Timanfaya you must visit on a tour. Several tours operate by coach, foot and even camel riding. We recommended arriving early for lesser crowds. Open 10am-6pm. Admission €8. Located south west of the island and accessible by tours only. For the art (and history) lovers, this interesting homage to a much-loved figure in Lanzarote’s history is well worth a visit. César Manrique was an artist and architect born in Lanzarote. On his return from his American travels, tourism had begun to bloom in Lanzarote, aware of its dangers, César lobbied against the threats of tourism and had a major influence in planning regulations. He encouraged a sympathetic development of tourism which has resulted in a lack of high-rise buildings on the island. 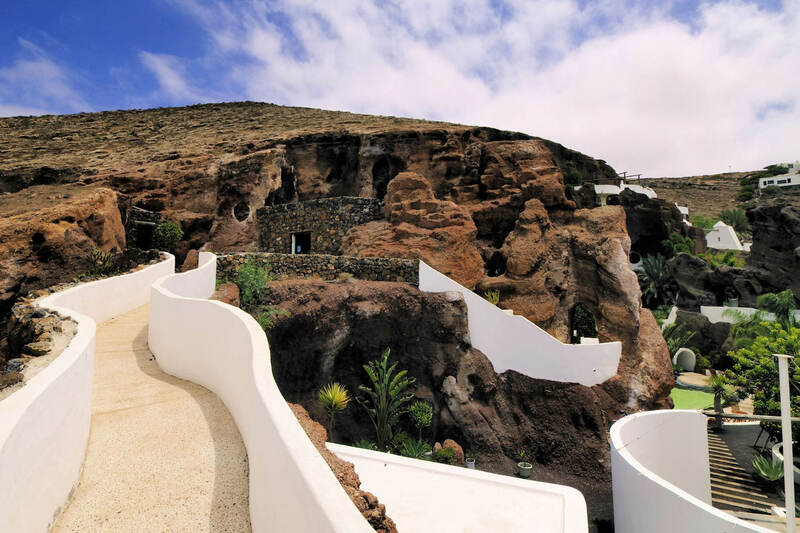 There are two museums dedicated to him which include the Foundation of César Manrique and the House Museum. The house museum, situated in the handsome region of Haría, reflects the perfect solitude and harmony of nature which inspired his art. The beautiful design is made up of white décor and black volcanic rock with stark flashes of greenery. Basalt steps lead down to a beautiful turquoise pool linked by volcanic passages. The Foundation offers an exhibition of his work and a collection of other artists from the Canary Islands. Open 10am – 6pm. Admission €10, children under 12 €1 Joint tickets for the house and foundation can be purchased for €15. Lanzarote is well loved for its beaches. Beautiful white sands and calm blue waters make a postcard perfect setting, more reminiscent of a scene in the movie ‘The Beach’ than an Atlantic Island. With over 213km of coastline, there are plenty of beaches in Lanzarote to choose from. From the beaches in the north providing a livelier climate, perfect for water sports, to the scarcely visited secret beaches of Papagayo. This tiny island sits on the tip of Lanzarote and a visit here is one of the top things to do in Lanzarote. Its stunning beaches, some protected by a national park, are beautifully clean and never too busy. Expect idyllic scenes of white sand and turquoise waters, more reminiscent of the Caribbean than the Canaries. A collection of several beaches, Papagayo can be a little bit out of the way, but well worth a visit. Extensive golden sands and small private coves make this collection of beaches some of the most beautiful on the island. There is not a lot around them, so it is recommended to bring food, refreshments and lots of water. Located on the North West coast, Famara is a popular long stretch welcoming a wonderful Atlantic breeze. The breeze is not only refreshing, but perfect for water sports and beach sports. The waves are particularly popular with surfers and the stunning cliff backdrop attracts explorers alike. Teguise, the original capital of Lanzarote, is a charming town decorated in colonial design. On Sundays the streets of Teguise come alive with a huge street market selling a fascinating array of goods and fresh produce. Buy César Manrique souvenirs, jewellery made from volcanic stones and quirky keepsakes made by local craftsmen. For a more authentic local market, on Saturdays a small market opens in Haría. For souvenirs the César Manrique foundation and most tourist attractions will sell the popular green volcanic gem stone Jewellery. Puerto Del Carmen, Arrecife and Playa Blanca are also very popular for shopping with many shops along the seafronts and large shopping malls. 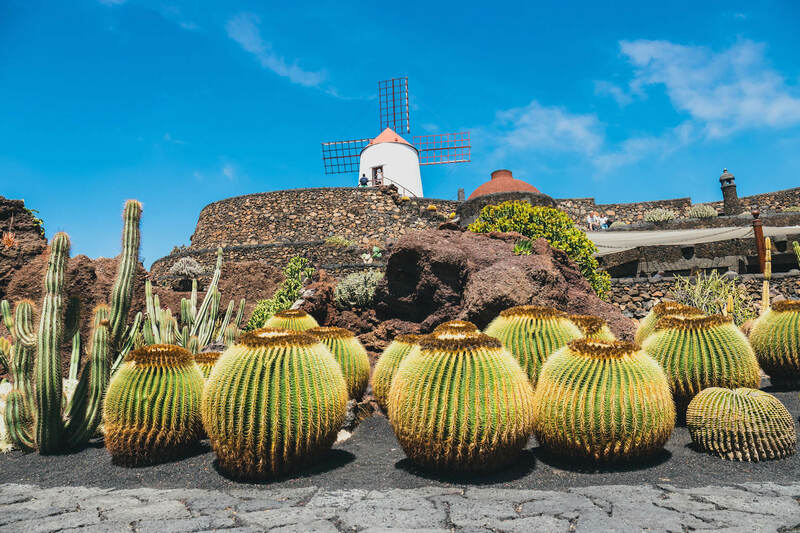 Another work of César Manrique, and originally created to harvest the cochineal beetle, Jardin de Cactus is home to over 4500 specimens, 450 species and 13 different families of cactus from 5 continents. A visit here offers a peaceful day out, with its relaxing café, gift shop and eight metre cacti statue not to miss. Simply meander through winding paths, lava rocks, ponds and a windmill with singing birds as your backing track. Admission €5. Located in Guatiza. Coffee shop & gift shop open 10am-5.45pm. 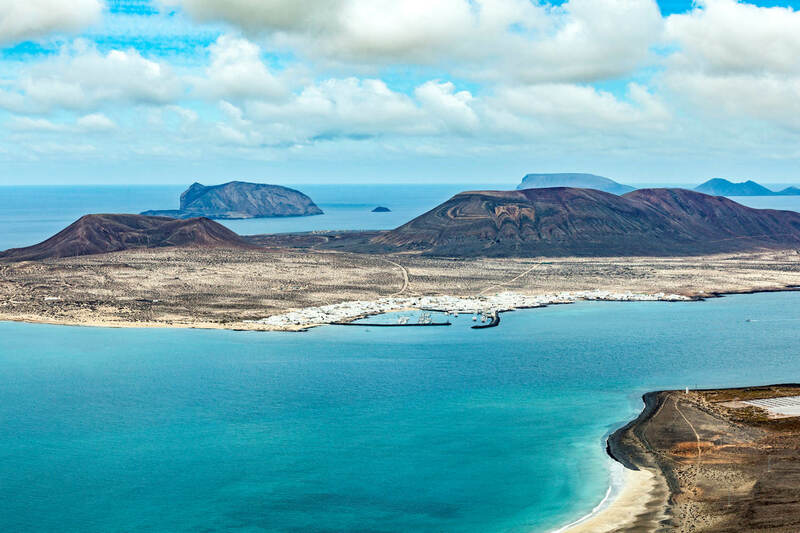 La Graciosa is a small island located off the northern tip of Lanzarote. 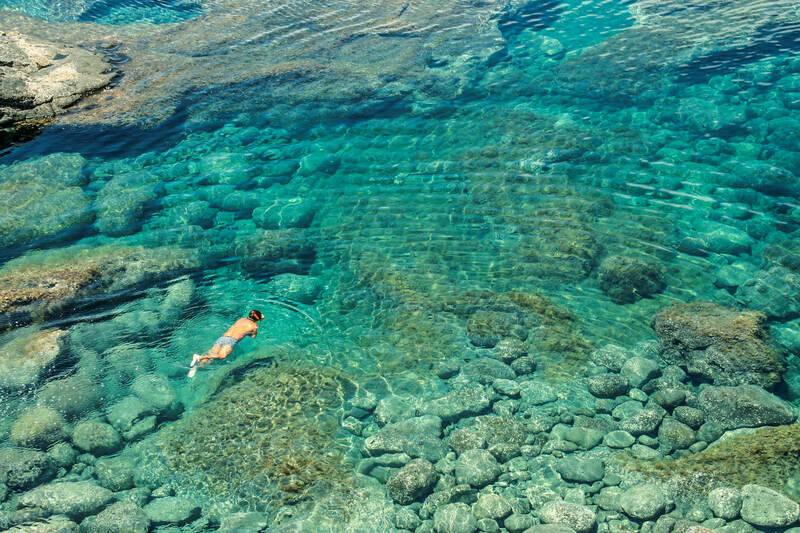 With a population of just 600 people and no roads, the island is a demonstration of natural Canary Islands beauty. The beaches here are silent, unexplored and crystal clear making them one of Lanzarote’s top attractions. There are a small number of authentic waterside restaurants (mostly serve fresh fish) and ample landscapes to explore by bike or foot. Where stark black volcanic sand meets fluorescent green lake and azure blue ocean; Charco Verde (also known as Charco de los Clicos, or lake by the sea) is a Lanzarote landmark not to miss. The unusual colour of the lake is created by marine organisms in the water, seaweed and marine Ruppia. The colour of the water changes depending on the weather, when you visit and the time of day. Protected under a nature reserve so swimming is prohibited. Free to visit at any time of the day. 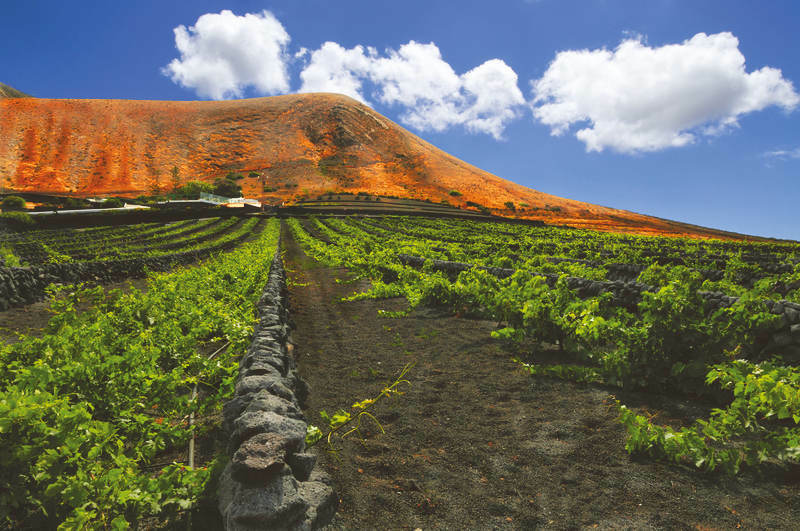 Bodegas La Geria: The most visited winery in Lanzarote, La Geria covers 5,225 hectares near Timanfaya National Park. Founded in the 19th century, it is now owned by the Melian family who offer guided tours and tastings. Open 9.30am – 7pm. Bodegas El Grifo – The oldest vineyard in Lanzarote and one of the 10 most ancient in Spain, El Grifo covers 60 hectares and was founded in 1775. Here you can peek at the growing and bottling process and visit the museum of wine. Open 10.30am-6pm. Entry €12, tours may be extra. For jaw dropping views there is no better place to visit in Lanzarote than Mirador del Rio. 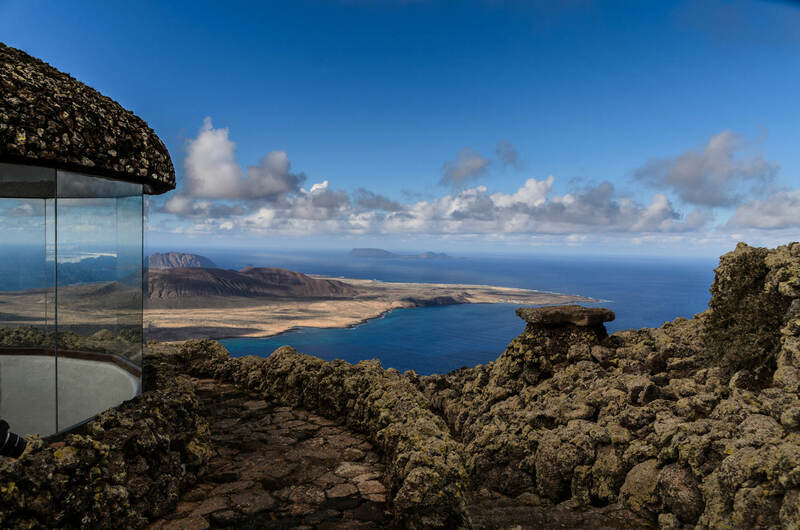 Overlooking La Graciosa and Salinas del Rio, Mirador del Rio is over 400 metres high with large glass windows, a bustling restaurant and an unmissable viewing platform. Formerly a naval gun battery, the base was converted by César Manrique; you can still see hidden remains of the military base in the rocks. Open 10am-5:45. Admission €4.50 for adults, €2.25 for children. Cueva De Los Verdes or ‘green caves’ lie just north of Haría. The 8km long lava tube was left behind by the eruption of Monte Corona thousands of years ago. The caves are quite an exceptional sight, beautiful lights illuminate the magnificent caverns and the strange stalactites caused by air bubbles in the lava are a sight to behold. The cave gives way to an impressive concert hall where occasional music events take place, making use of the excellent acoustics. Some tour groups can be a bit overcrowded, so it is highly recommended to book with an operator offering smaller groups. 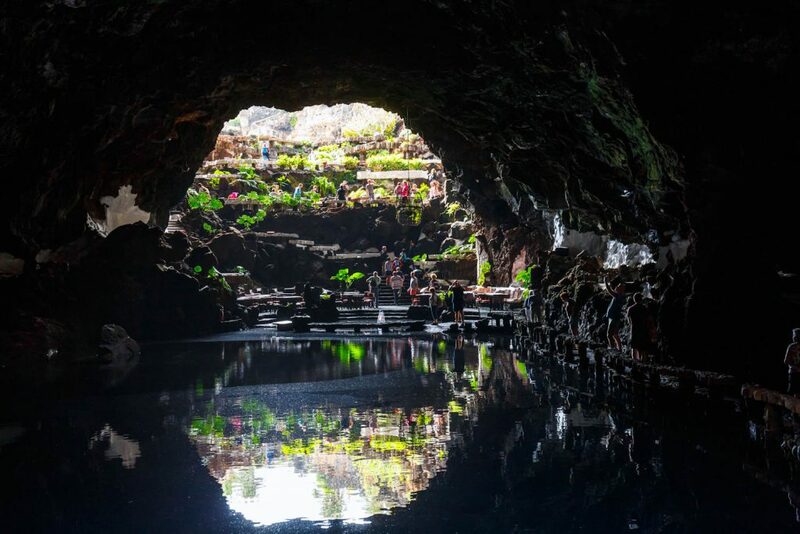 Jameos del Agua is a volcanic cave system located in the north east of Lanzarote. A visit here is one of the top things to do in Lanzarote; in fact, it has been described as the 8th wonder of the world by Hollywood legend Rita Hayworth. Transformed by beloved artist César Manrique, you’ll find a unique underground cave bar, a magnificent auditorium and a natural lake, home to albino crabs. Admission from €11. Open 10am-6.30pm, bars & restaurant have separate opening hours. Rancho Texas Park is one of the best things to do in Lanzarote for families. Feel like a cowboy in this Wild West style theme park. If you need a break from sunbathing and relaxing on the beautiful beaches you will find activities such as canoeing and panning for gold can give you the excitement you are looking for. 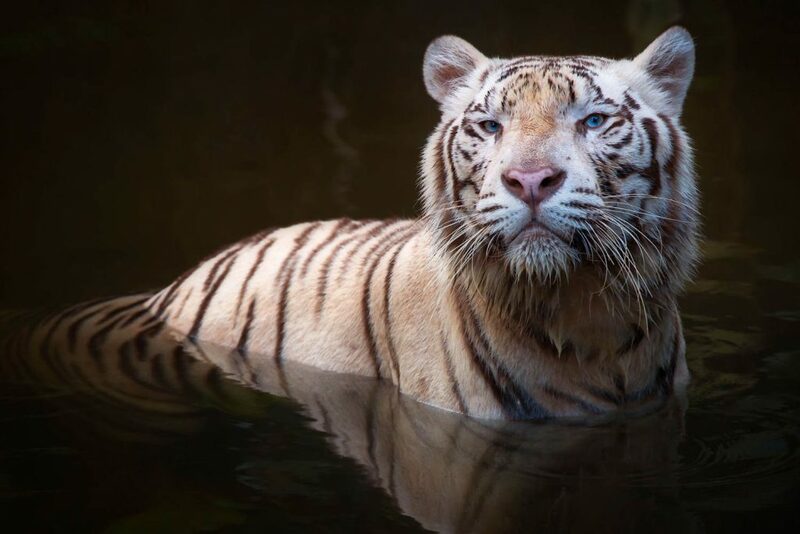 The park is also home to a zoo with tigers, snakes and many more animals. Open 9.30am – 5.30pm. Admission: Adults €22, children under 14 €17. Getting there: Buses run frequently from Costa Teguise, Playa Blanca and Puerto Del Carmen. Official website. The largest water park in Lanzarote, Aquapark is located in Costa Teguise. Plenty of slides, pools, restaurants and cafes make an excellent day out for families in Lanzarote. Admission €22.50 for adults, €16 for children ages 4-12, half day tickets available. Open 10am – 6pm. Free parking, free wi-fi and accessible facilities. 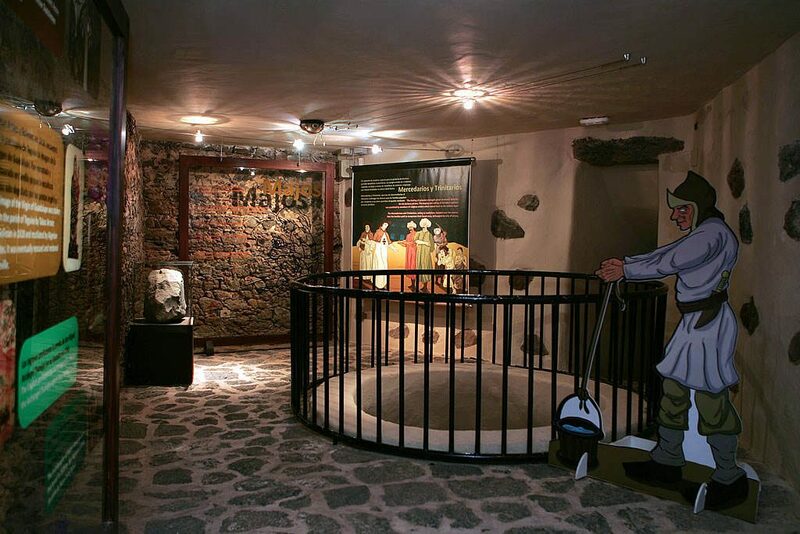 Inside the Santa Barbara fortress near Teguise is a fascinating museum for both adults and children. Lanzarote was once a prime target for pirate incursions, the history of these pirates is demonstrated in this fascinating museum. A great activity for families in Lanzarote. Open 10am – 4pm, closed Sundays. Admission €3, free entry for kids. Image courtesy of Museo de la Pirateria. Located in ‘the valley of 1000 palms’, a visit to Haría village is one of the more authentic things to do in Lanzarote. 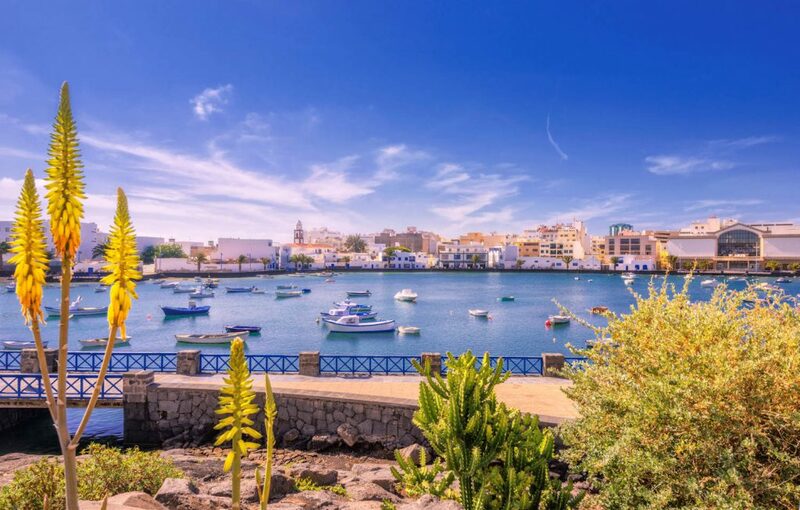 With fascinating museums, ornate churches, whitewashed buildings and cobbled streets, Haría gives you a unique taste of rural Lanzarote life. A market each Sunday is one not to miss, with local craftsmen selling art, textiles and local jewellery. Once a defensive fortress used to keep pirates at bay, Castillo de San Jose is now home to a museum of contemporary art (Museo Internacional de Arte Contemporaneo). 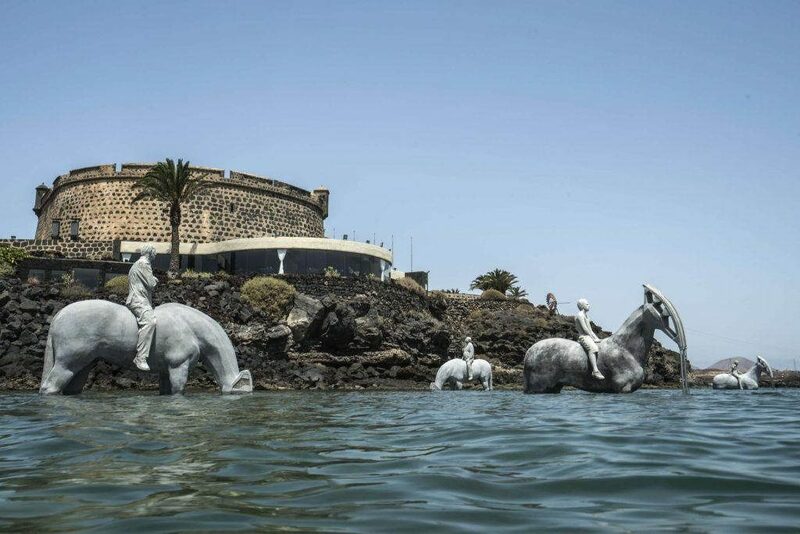 Impressive and unique sculptures are on display here including some on the roof and even horse riders out at sea (which can be seen from the restaurant). There is also a small collection of Canary Island art including works of César Manrique. Open 10am-8pm. Located in Arrecife. Admission €2.50. Image courtesy of Museo Internacional de Arte Contemporaneo. Truly one of the most unique things to do in Lanzarote, Atlántico Museum is located underwater. 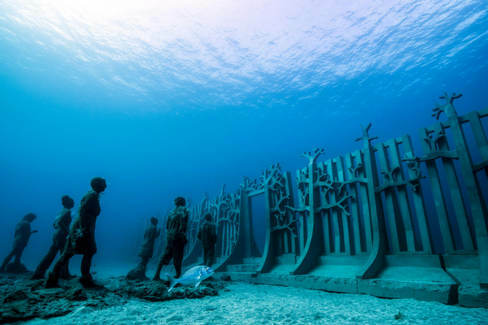 The first of its kind in Europe, a selection of cement figures, slowly becoming reefs, are laid out 12 metres below the surface. Designed by Jason de Caires Taylor, the sculptures can only be spotted by scuba diving. Image courtesy of The Underwater Museum. See for yourself the true power of the Atlantic Ocean as it crashes upon sea caves and volcanic cliffs. It is a humbling experience as the power of the waves fill up sea caves and spray your cheeks. Get ringside seats at a café or restaurant and spot local seabirds fishing against the winds. Located on the islands far west coast. Another César Manrique creation, alongside artist Jesus Soto, the Lagomar Museum is one of the lesser known attractions in Lanzarote, but certainly worth a visit. Discover an exotic style home built in to cliffs of hardened lava with rooms in caves, corridors in tunnels and stark white washed walls. Furnished with bits of shipwrecks and home to lush green cacti surrounded a pretty blue pool. There is also a restaurant, bar and art gallery. Visit in time for sunset and you won’t be disappointed. For geologists, volcanologists and landscape lovers alike, At Volcan El Cuervo you can actually walk inside a volcanic crater. Get up close and personal with the volcanic landscape and enjoy panoramic views out to the surrounding landscapes. 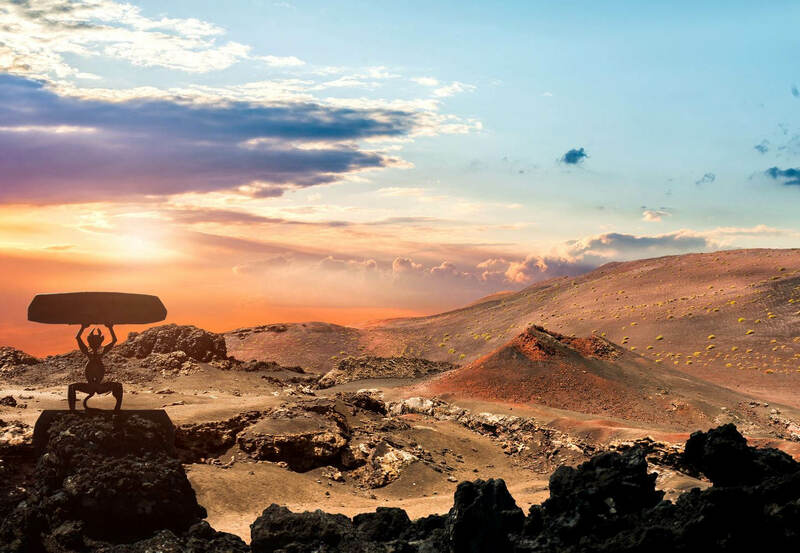 Uncover the history of Lanzarote’s rural past and gaze upon the magnificent sculpture, by Jesus Soto, made of old water tanks to mark the heart of the island (figuratively and literally). A fascinating day out to Lanzarote’s countryside including a towering 50 metre sculpture of Fecundidad (fertility) built in 1968, a house museum representing a typical farm and an underground restaurant. Open 10am-5.45pm. 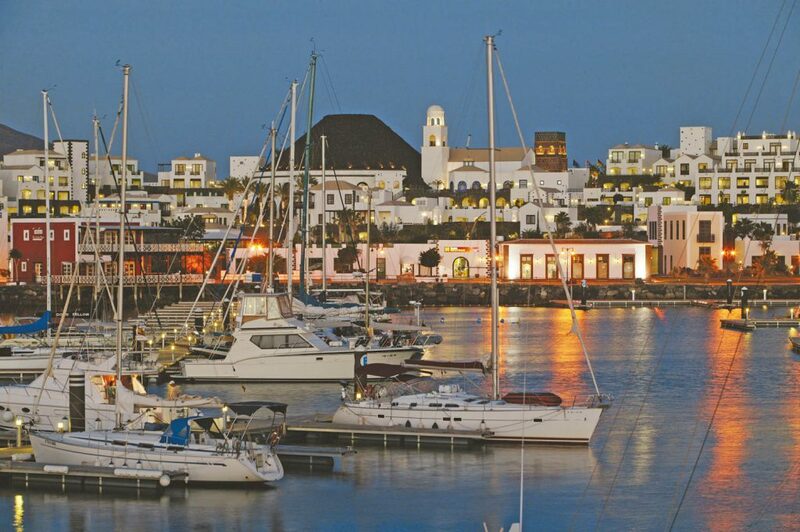 Marina Rubicon is Lanzarote’s own glamorous marina with a plethora of boutiques, tempting eateries and luxury yachts. An excellent day out in Lanzarote, enjoy duty free designer shopping and quality restaurants overlooking the marina. Marina Rubicon is situated between Playa Blanca and Costa Teguise. A visit to Costa Teguise is one of the top things to do in Lanzarote. Formerly the capital, and founded in 1402, Teguise holds many historic buildings, handsome colonial mansions and quaint cobbled streets. Its sleepy feel is great for pottering as well as discovering its attractions, including the 16th century Convento de San Francisco and the popular weekend market. An upmarket resort with great beaches, sophisticated nightlife and a relaxing harbour. Its unhurried seaside atmosphere and blue flag beach has attracted both couples and families alike. Meander around the pretty streets of Playa Blanca, splash out with watersports or enjoy a table for two at one of its many gourmet restaurants. The current capital of Lanzarote, Arrecife is well worth a visit. One of the best things to do in Arrecife is a visit to El Charco de San Gines, also knowns as ‘Venice of the Atlantic’. This pretty lagoon is framed with cottages, tapas restaurants and bars making it great for an afternoon stroll or a romantic setting in which to enjoy the sunset. There is also a Saturday market in Arrecife old quarter. Lanzarote’s most popular beach resort, Puerto del Carmen has earned its reputation for bustling nightlife. It’s main street Avenida de las Playas attracts mainstream tourists, but more sophisticated haunts can be found in the more authentic old town and El Varadero harbour. 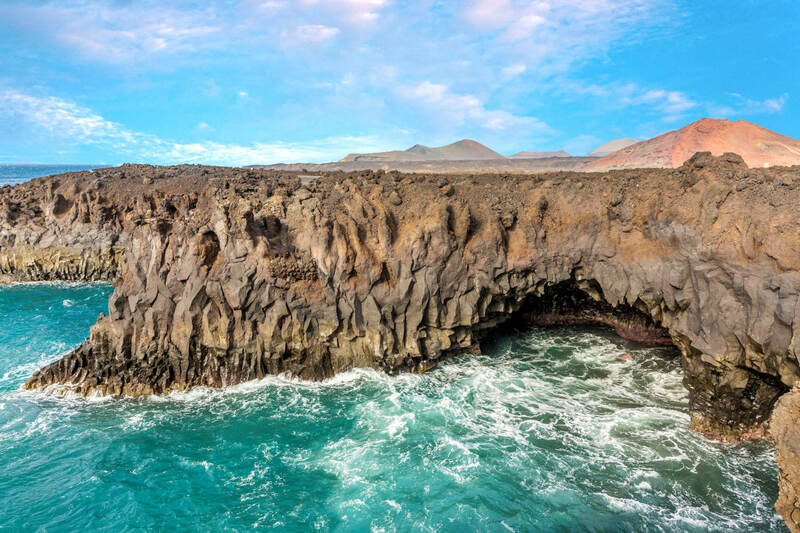 Lanzarote’s coast is formed by volcanic activity to which beautiful underwater caves and flourishing marine life make excellent diving and snorkelling. The beautiful coastline and inviting warm waters welcome whales and dolphins which you can spot on several boat tours. Good waves, lovely beaches and rugged landscapes with strong Atlantic winds make Lanzarote a water sports paradise. The many water sports you can do include sailing, windsurfing, surfing, kite surfing, parasailing, jet skiing, water skiing and much more. There are many water sports and dive centres to choose from catering for every level from beginners to experts. For ocean lovers, dolphin lovers and adventurers alike, a catamaran cruise will assure a truly memorable day out. Take the opportunity to swim and snorkel out at sea and spot dolphins and pilot wales as they pop up for air. Each year carnival takes place across the Canary Islands, perhaps most notable is the celebrations in Tenerife, however Lanzarote certainly offers its share of celebrations. Street parties take place mostly in Playa Blanca and Arrecife marking the days leading up to lent. The carnival usually takes place at the end of February/March, varying each year. 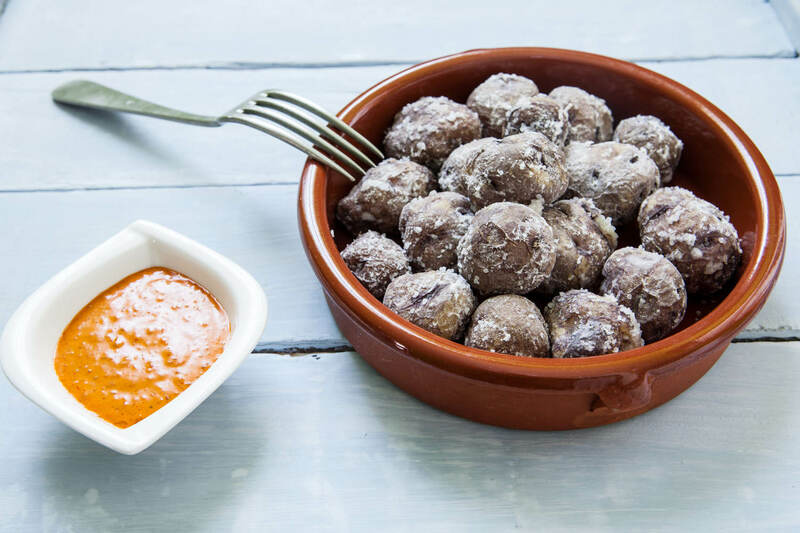 Gofio – An historical staple made from toasted flour. It is the basis for many dishes, particularly desserts, but has also been enjoyed with milk and even raw egg. Cheese – Lanzarote has won awards for its cheeses, particularly goats’ cheese which is ample on the island. Goat meat – If cooked right this meat can be wonderfully tender. Often served in a stew. Limpets – Grilled and served with a green sauce. Octopus – Found in many tapas bars, octopus is grilled with a wealth of spices. Lanzarote is located in the Atlantic Ocean approximately 125km from the north west coast of Africa. It is the northern most island of the Canary Islands. With its appealing climate and atmospheric seaside towns, Lanzarote is perfect for winter sun. There are plenty of beautiful beaches on which to relax, an up and coming foodie scene and thanks to the Timanfaya National Park there are so many great things to do in Lanzarote. 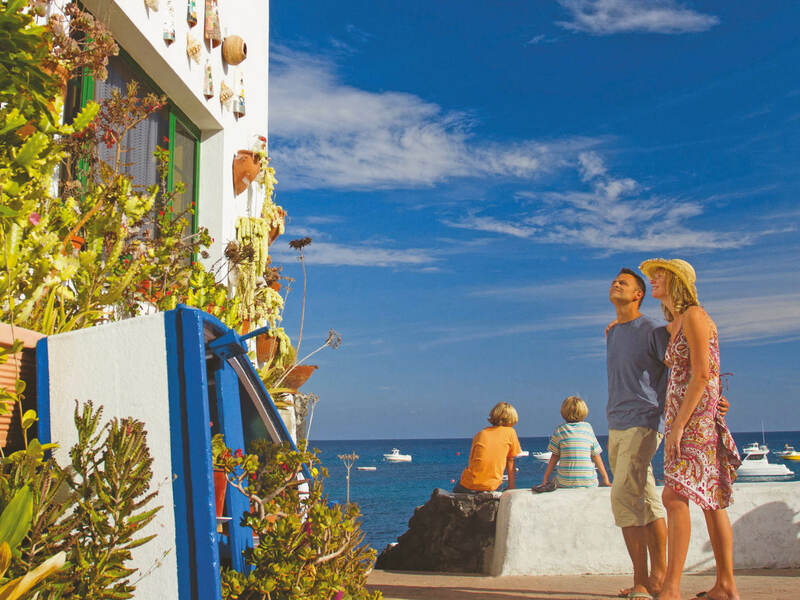 Lanzarote enjoys a year-round warm and dry climate making it a great destination to visit all year. 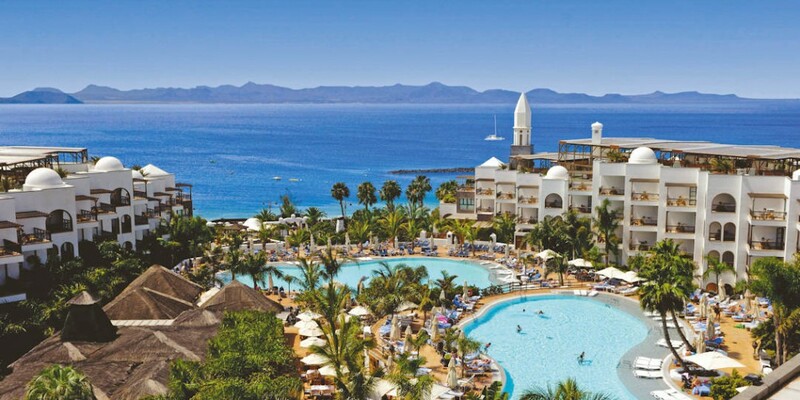 Unarguably one of Lanzarote’s most luxurious hotels, the 5* Princes Yaiza Suite Hotel Resort is great for couples and families alike. Located directly on a Playa Blanca beach with spectacular ocean views and superb service. 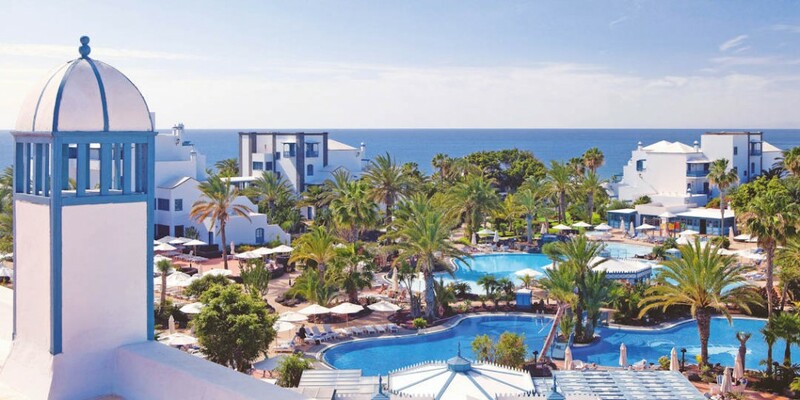 For more affordable luxury the Seaside Los Jameos Playa offers a great 4* hotel with 5* service. With all inclusive options and plenty of facilities the hotel is great for families. 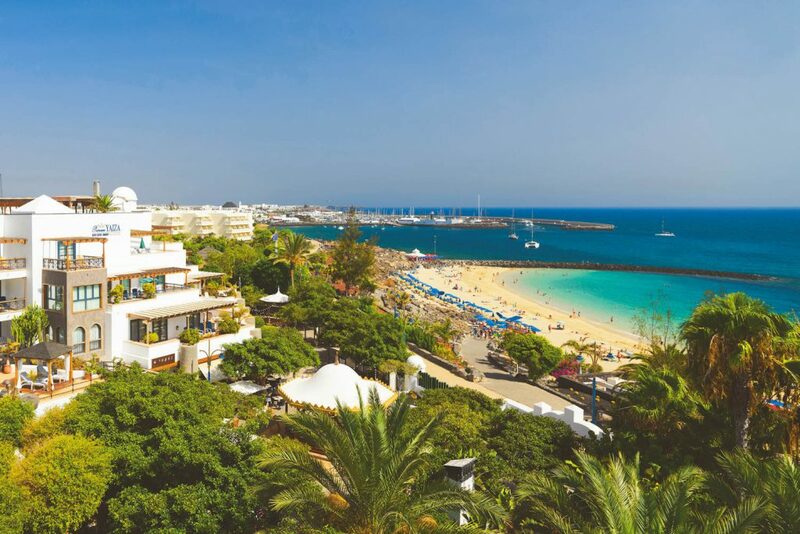 If you haven’t found what you are looking for in Lanzarote why not take a look at our blog post Best Canary Island, to find which canary island is best for you. Have you visited Lanzarote? We would love to hear your stories in the comments below.